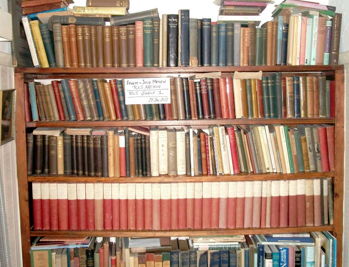 As part of the groundwork for the re-launched edition of Stevenson’s works by Edinburgh University Press a small group of volunteers, headed by Neil Macara Brown, are trying to list all the books in Stevenson’s Library, mainly by reference to Auction and Library catalogues. 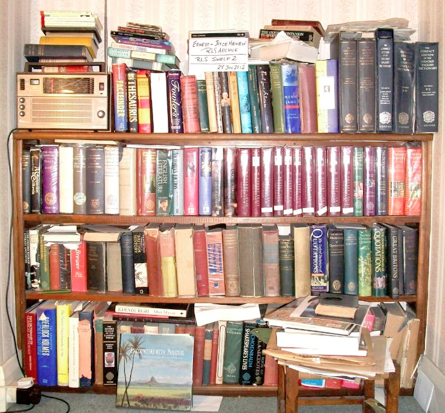 The Stevenson’s Library Database will include all books owned by Stevenson at some period of his life, the majority of which would have been present in the Vailima Library. 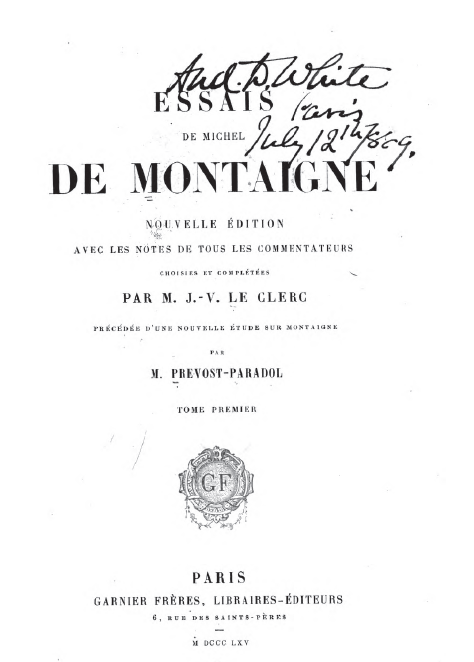 Stevenson’s copy of Montaigne’s Essais (Paris, 1865-66, 4 vols.) with “numerous annotations and critical remarks throughout; on fly-leaf: ‘The dispassionate Shakespeare of one character: himself'” – now in Columbia University Library. his copy of The Globe Edition of the Works of William Shakespeare (London, 1873), with “numerous underscorings and marginal markings throughout”, in the Folger Shakespeare Library in Washington DC. According to Roger Swearingen, the Twelfth Night is “marked by RLS for the Jenkin theatricals” (i.e. with the cut lines marked). 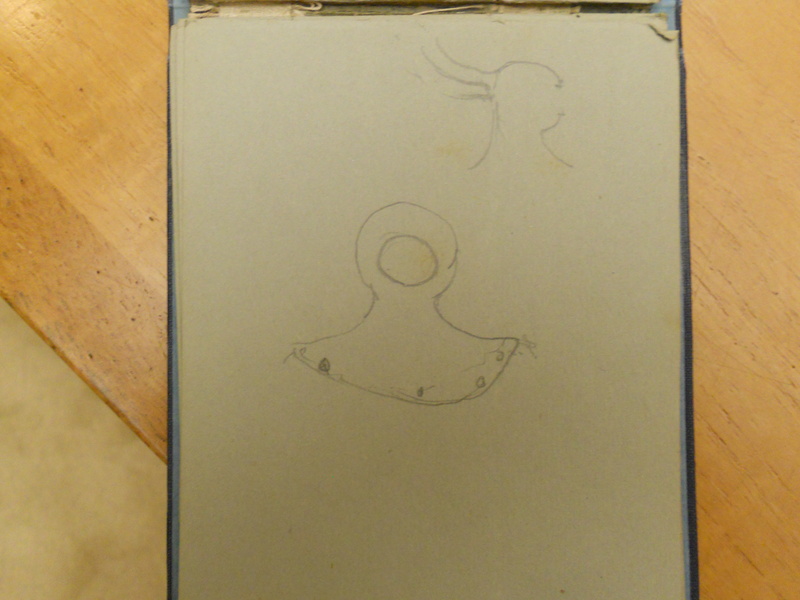 In a small sketch book used as a notebook now in the Beinecke Library (Notebook V), there is a crude drawing (right), showing a diver’s helmet. RLS was in Anstruther and Wick in the summer and autumn of 1868. 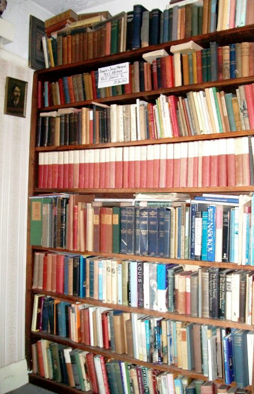 The notebook is later: it contains material from the years 1875-77. 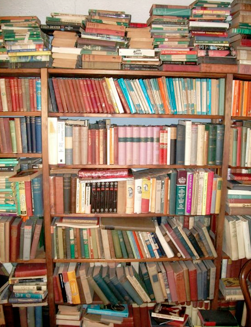 John Russell’s impressive ‘Music of Robert Louis Stevenson’ site has moved to music-of-robert-louis-stevenson.org. Latest additions are music for ‘Tempest Tossed’ and ‘My Ship and I’. 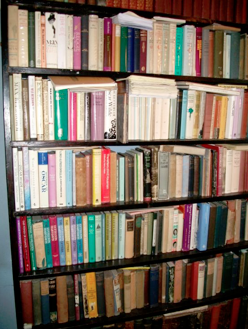 The site contains an essay on Stevenson and music, indexes of his compositions, charts and databases of the various forms and a bibliography. It is of importance to editors and readers of his poems, but it also illuminates the many references to music in letters and prose works. John Russell is now finishing a print version of all his work, The Complete Musical Compositions and Arrangements of Stevenson. News of publication will be given in this blog.